The ESAM company was founded in 1904 when Oscar Kjellberg invented the coated welding electrode. Today, ESAB produces welding consumables and equipment for most welding and cutting processes. ESAB is a world leader in welding and cutting expertise, equipment and services headquartered in Sweden. 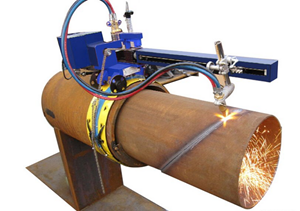 The ESAB product line includes plasma torches, oxy-fuel torches, oxy-fuel parts, plasma power sources, combination gantry cutting machines that can do plasma nad oxy-fuel cutting separately or in combination, waterjet cutting tools, marking tools, weld-edge preparation tools and a range of cutting and marking tools and controls. Processes include: plasma cutting, oxyfuel cutting, laser cutting, waterjet cutting, marking and weld edge preparation. ESAB products are designed to achieve optimal cutting quality at high cutting speeds. Esprit Automation, a leading manufacturer of CNC plasma and oxy-fuel flame cutting machines, is headquartered in Nottingham, England and has been in business since 1986. 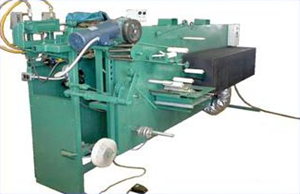 Their area of expertise is sheet and plate cutting applications. Customers come from a wide range of metal processing industries including general and precision sheet metal, fabrication, steel service centers, HVAC ductwork and a broad range of product manufacturers. Also represented in their customer base are clients within the automotive, agricultural, construction machinery, materials handling, and the food machinery and display equipment industries. The Esprit product line offers CNC machines that are designed to use the latest plasma cutting technology. All custom machines are 3D modeled prior to manufacture and are designed for heavy duty applications, durability, and optimized performance. In addition to plasma cutting machines, the company also provides extraction and filtration systems, and oxy fuel flame cutting systems. SEC machines is a manufacturer of a system of drives, carriages, rails and attachments that are designed to automate welding guns, cutting torches and other hand held tools. Their product line includes a variety of CNC profile cutting machines that work with oxy fuel and plasma. They serve a range of steel fabrication industries including shipbuilding, pressure vessel manufacturing, rail car manufacturing, structural steel fabricators, mechanical contractors, steel supply, and steel service centers. Whitney manufactures a comprehensive line of cutting and forming equipment for the metal plate fabrication industry including global transportation, agricultural and construction equipment industries. The primary product Whitney specializes in is the plasma-punch combination machine although they carry a full line of equipment including CNC plasma-punch combination machines, manual and CNC punching machines, notchers, benders, shears, laser and plasma machining centers, and tooling. They also provide options for material loading and unloading as well as automatic part removal systems. Their combination plasma-punch machines produce more parts per day from steel and aluminum plate than any other process including standalone laser, plasma, and waterjet machines at a lower cost per part. 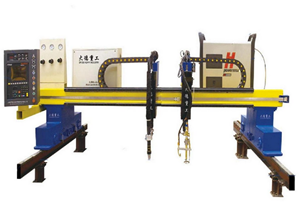 Their combination machines can also be customized with additional features including forming, drilling and tapping. Vicon is an industry leader in plasma cutting machines, coil lines and HVAC ductwork machinery. The company has over 40 years experience in the machine tool industry and every machine is manufactured completely in the US. The Vicon product line includes a range of plasma cutting machines, waterjet cutting machines, coil line machine for ductwork, rollformers and duct fabricating machines. They also offer fabrication an HVAC software for their machines as well as calculators for forming and punching applications and machine justifications.